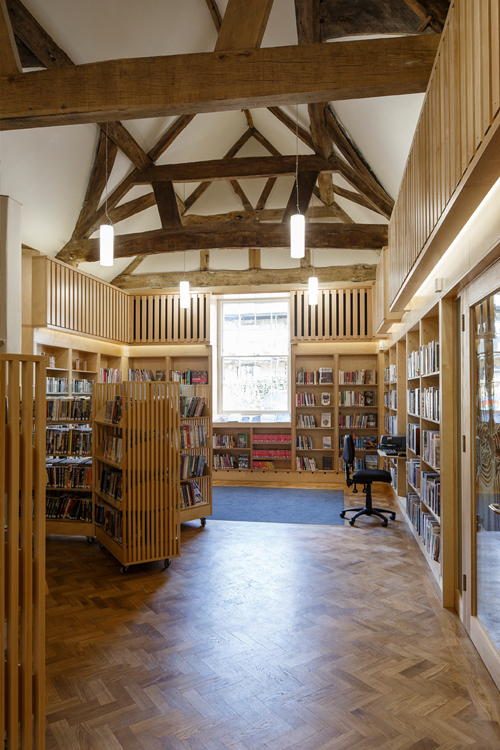 For our latest Case Study we focus on the recently renovated Master’s House in Ledbury, Herefordshire. 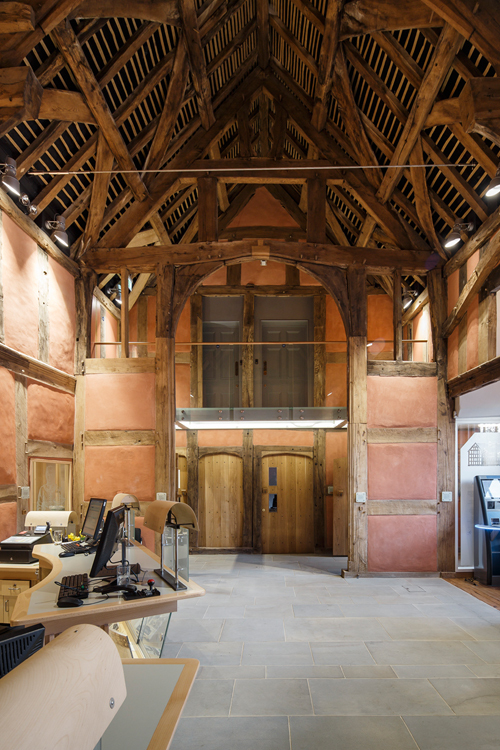 This historically significant Grade II* listed building features a beautiful timber frame dating back to 1487, with the addition of a brick ‘envelope’ built during the 18th and 19th centuries. The building had been altered many times over the centuries but had lain empty for several years and was designated a ‘Building at Risk’. 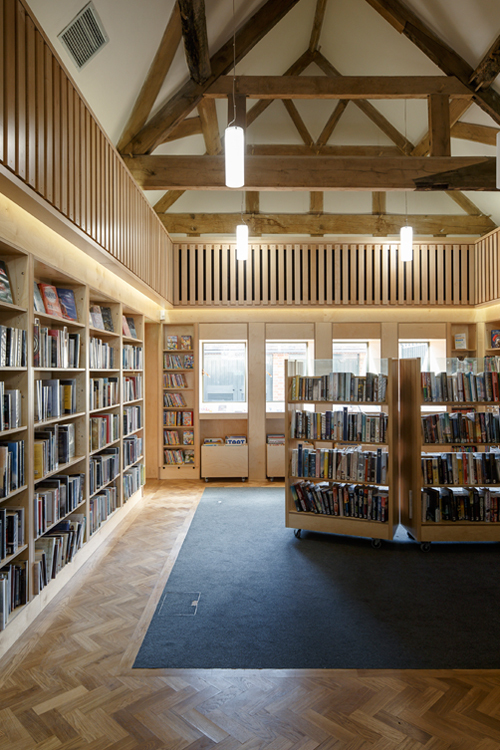 Herefordshire Council, who own the building, wanted to restore the Master’s House in order to create a base for its customer service centre and library. The challenge was to incorporate sympathetically the varied elements from across the centuries into a building for the 21st Century. The renovation work exposed many traditional building techniques such as wattle and daub walls, lathe and plaster ceilings, and lime and clay plaster throughout. Working on a listed property of this type meant restoration work had to be carried out carefully by professionals, using materials and techniques that would not harm the integrity of the building. Many of the clay daub walls were repaired, whilst new clay and lime plasters were used in areas that had to be replaced. The medieval timbers were particularly at risk to damp, so it was important to control the humidity of the building. Claypaint was specified because it is fully compatible with original and new lime plaster, allowing the walls to breathe. Unlike vinyl paints – which can exacerbate damp and should not be used on lime plaster – Claypaint is moisture permeable and does not ‘seal’ the walls. 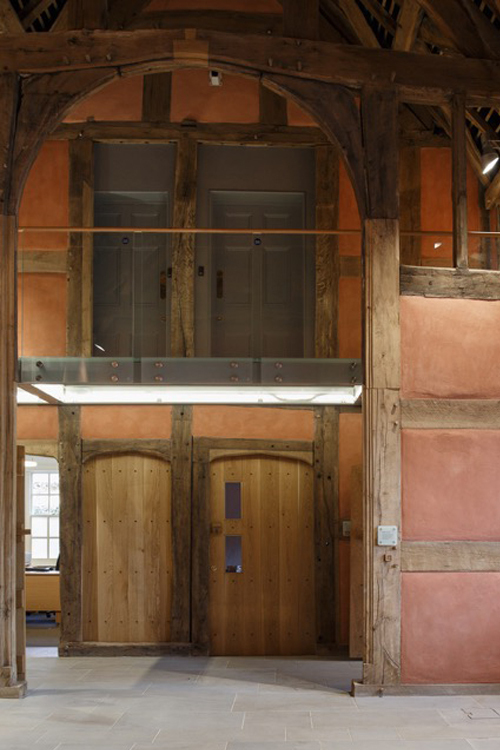 Issues with damp can be problematic in any home, but for a building of historical importance it was vital to use products that would help regulate moisture thus protecting the walls and timbers. To complement the Claypaint, Earthborn Eggshell was chosen for all newer woodwork. Earthborn Eggshell is breathable and like Claypaint is free from VOCs, acrylics and oils, making it healthier for the building occupants and the environment. And due to its soft silk sheen finish, it is durable and wipeable; ideal for doors and skirting boards subjected to everyday wear. This was especially important in a building like the Master’s House, which still needs to operate as a busy public space. 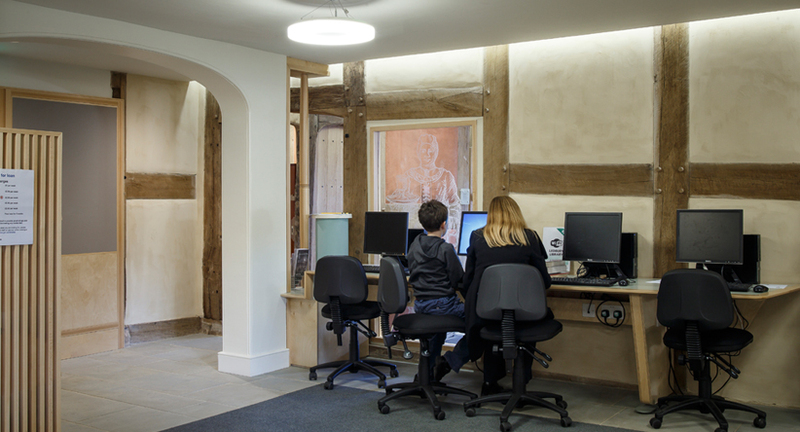 The finished project exposes the original timber frame in all its glory, along with bare clay walls combined with painted lime-plastered walls. Earthborn are proud to have played a part in this renovation and it is always exciting to see how our eco-friendly, advanced paint formulations can combine perfectly with traditional building materials. If you’ve used Earthborn paints on a renovation project we’d love hear about it. Tell us about it by emailing marketing@earthbornpaints.co.uk.